I’m not normally the adventurous sort. Sure, I’ll take out a map and find an alternative route if traffic backs up, but I’m not interested in bungee jumping or scuba diving. 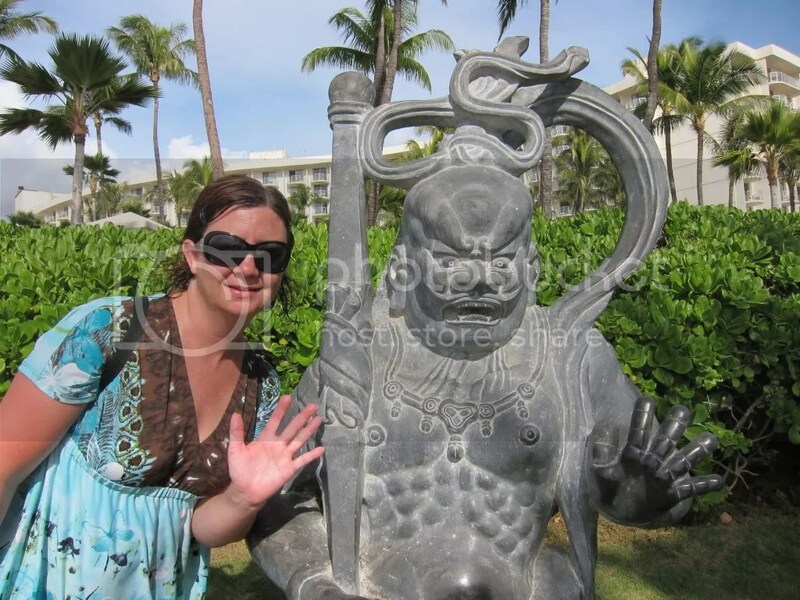 When my husband planned our first trip to Maui (my first to any Hawaiian island), he received a jam-packed itinerary in his job as a golf and travel writer. 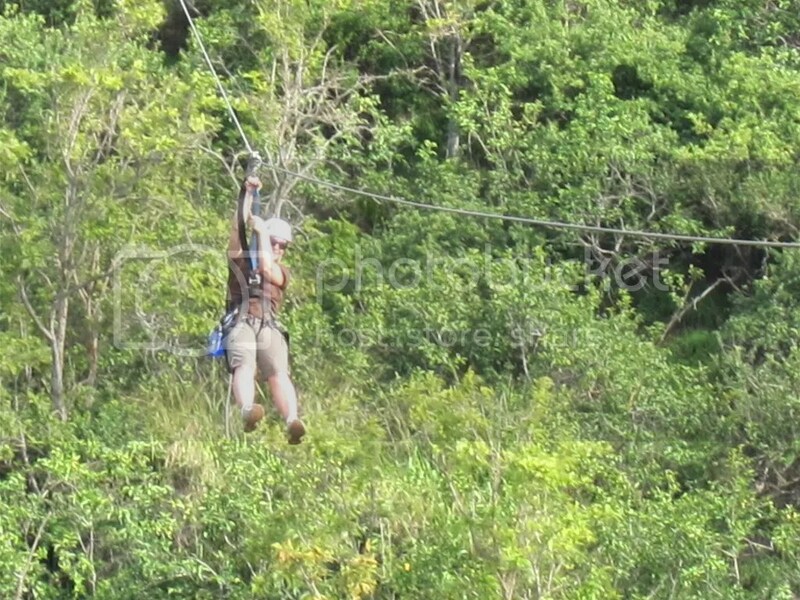 Included in the list of activities were zip lining and snorkeling. 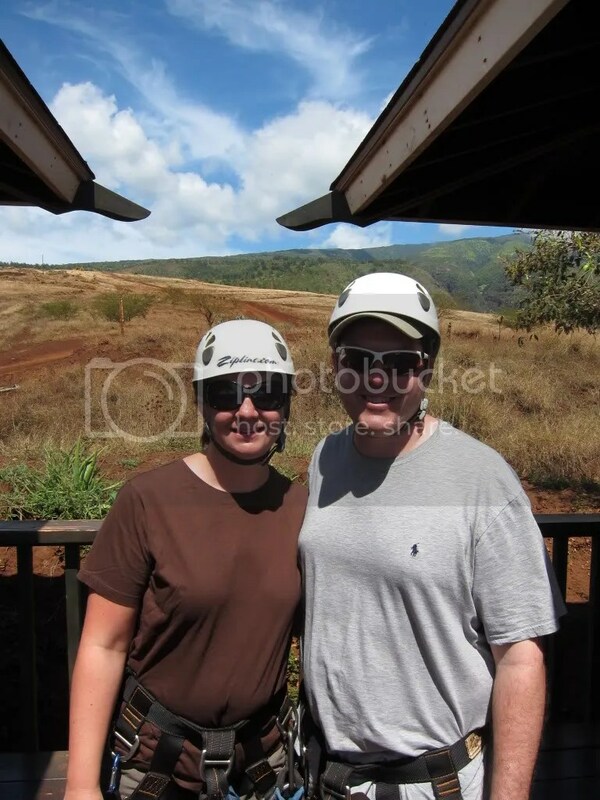 We went on the zipline tour first, with Skyline Eco-Adventures in Maui. Everyone receives a water bottle and is weighed to make sure the guides on duty can handle the weight of each guest. Then, the group is taken by large van to the mountain. The van ride is an adventure in itself, bouncing up a bumpy dirt road on the side of a mountain. Part of the wary up, we arrive at a small shack with a large covered porch. Here, we are fitted with helmets and harnesses. We then transfer to another van with larger tires to make the steeper trek deeper into the mountain. With sweaty palms and a hammering heart, I took my first zip line without looking from side to side, intent on hitting the ramp on the other side without falling. Success! In the middle of eight runs, we head to an outdoor platform that overlooks a beautiful gorge. Here, we have a great lunch from a local restaurant with locally-sourced items. As we walk to the platform, the guide tells us how wild boars are common on the mountain and that we should stay still if we hear one. As we hike back to the ziplines, a wild boar is heard and the group all runs and jumps, only to have our guide come out of the bushes. On each run, they encourage us to try different things, like jumping off backwards or how to shift in the middle for a different view. On the last run, the guide tells us to tuck our knees into our chest so we go faster to make it across the longest run. When I, the first girl of our group, heads up for my turn, the guide tells me to tuck my knees and he’ll help me with my send-off. Little did I know that I was going to turn into a human helicopter when he spun me like a top. Although my screams could be heard throughout the mountain and beyond, it was a fun, exhilarating ride. I can’t wait to try it again.